Our portfolio offers a large spectrum of highly engineered wire and ribbon (flat wire) products that meet the needs of a wide range of industries. 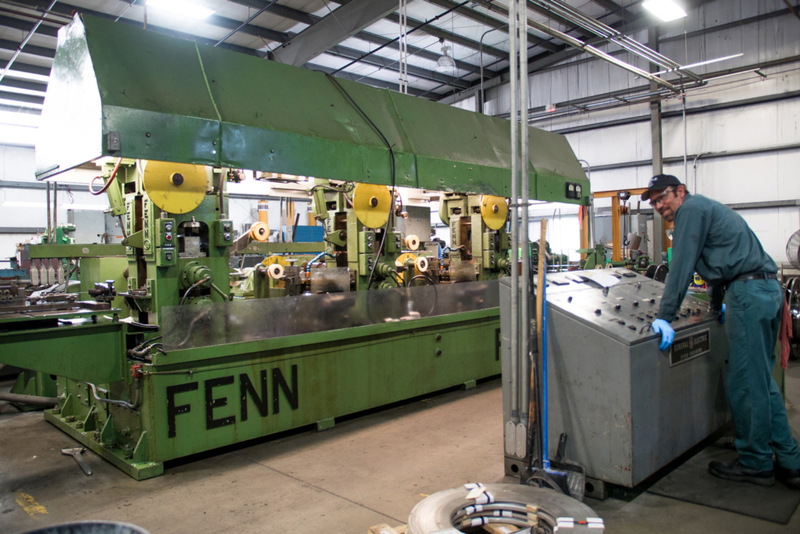 We are dedicated to meeting each customer’s specific needs from an extensive alloy selection to special size, resistance, temper, finish, and packaging requirements. We specialize in the manufacturing of both round and ribbon (flat wire) resistance wire. 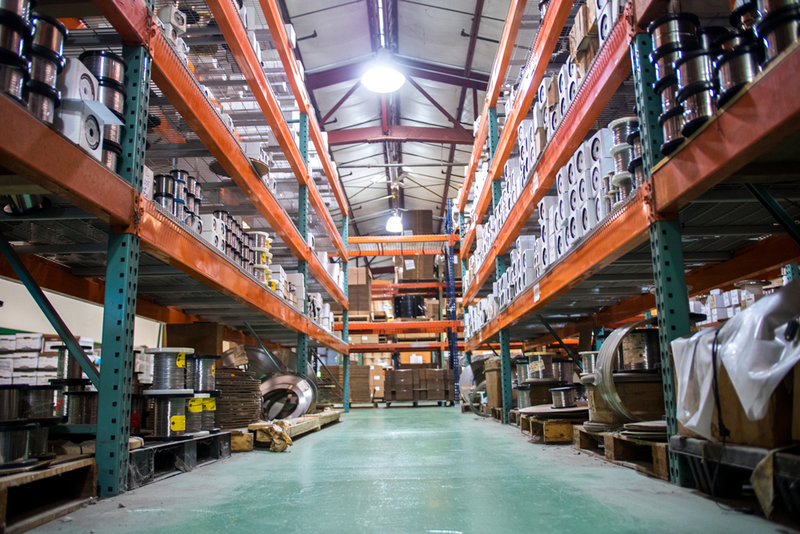 Whether you are looking for Nickel Chromium, Copper Nickel, or Iron Chrome Aluminum products, our vast size capabilities allow us to meet your resistance wire needs. We manufacture both Single Leg and Matched Pair Standard or ½ Standard Limit Thermocouple wire in Types K, J, E, N, T, and SX. We have a full EMF Testing Lab where we test our products against standards calibrated and certified by NIST. Our test method is in accordance with ASTM E207, and we certify our products to ASTM E230 requirements. 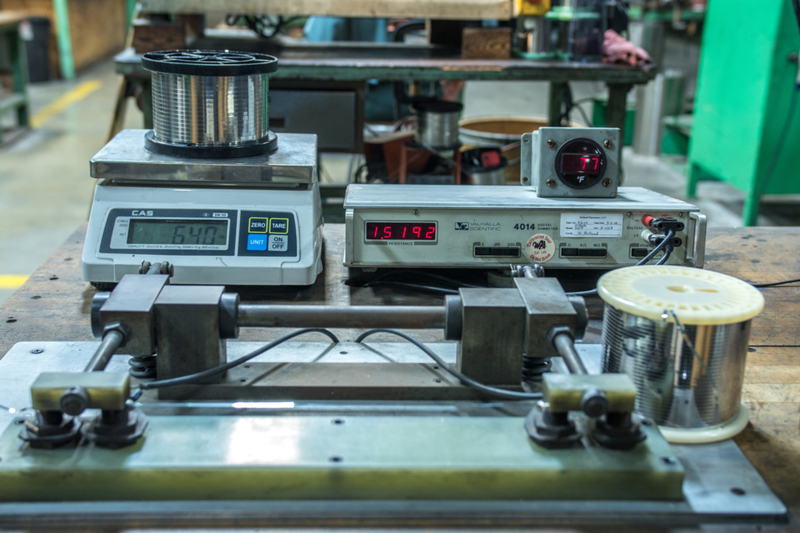 In order to uphold our mission of being the premier resistance wire supplier, we have implemented the most rigorous testing procedures to ensure the highest quality resistance wire you can find. 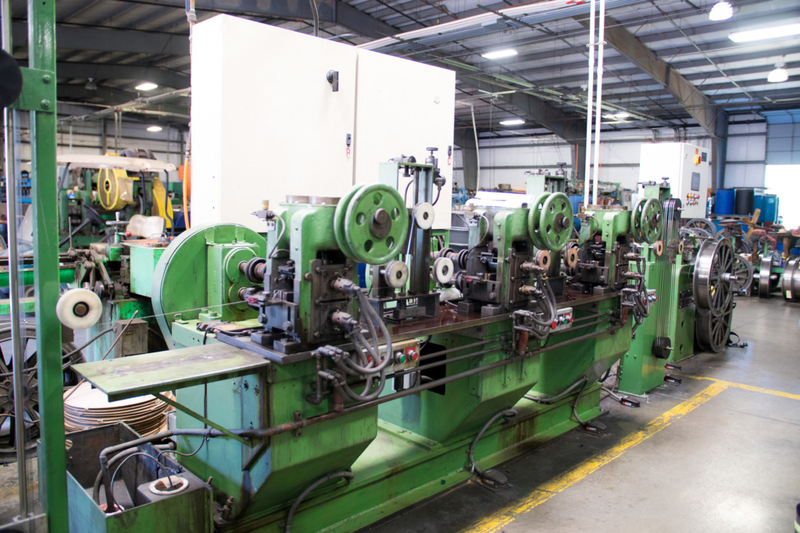 Our procedures include testing each and every spool or coil to protect our promise to you of supplying material that meets and exceeds the highest standards. National Electric Wire Company crafts specialty resistance, thermocouple, and thermal expansion alloys, fully customizable to meet your needs. An industry leader and premier supplier, we pride ourselves in the manufacturing of precision drawn and rolled wire using high performance alloys from only the best DFARS Compliant mill sources. 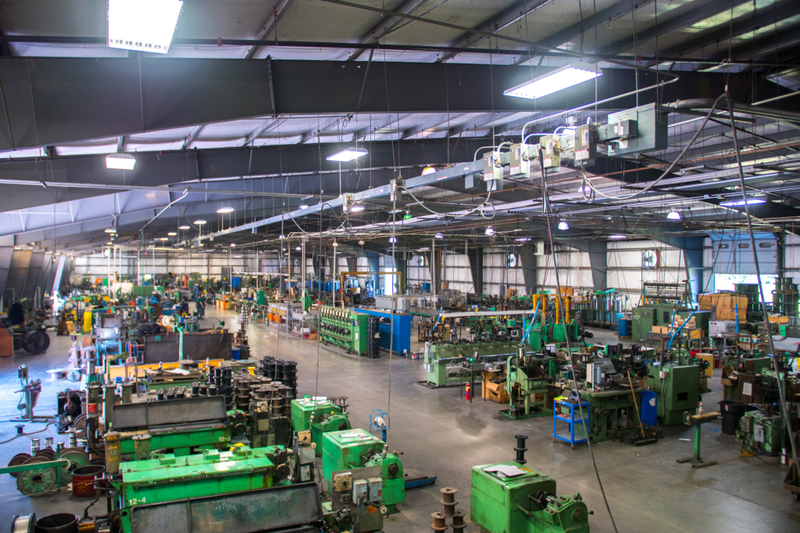 Our state of the art facility and years of experience allows us to support the demands of numerous industries including Appliance, Aerospace, Furnaces, Resistors and more. Since 1983, National Electric Wire has remained a dominant presence in the industry due to its old school integrity and constant pursuit of providing the highest quality resistance wire products. Owner Steve Herr combined with his father (a metallurgical engineer) boast over 95 years of combined experience in wire and specialty alloys manufacturing. With origins dating back to Driver-Harris and Harrison Alloys, National Electric Wire has aligned itself with the dominant forces within the industry. Steve, with over three decades of experience as an Owner and Plant Manager working directly in the manufacturing of the product, coupled with John’s metallurgical engineering degree from Rensselaer Polytechnic Institute, have an advanced understanding of the industry. Here at National Electric Wire Company, we believe that in order to run a successful business you need both happy customers and employees. We are committed to providing exceptional customer service and truly value our customers and business relationships. Additionally, we strive to provide the best working environment possible for our employees who we consider the backbone of the company. 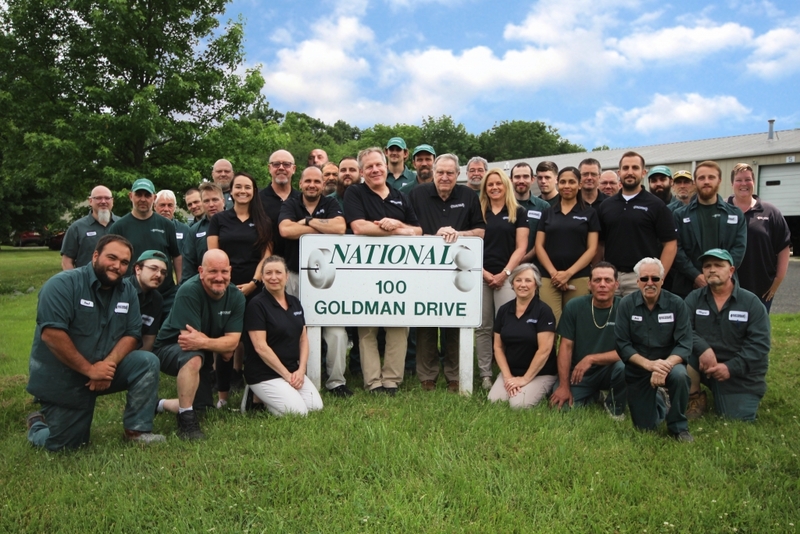 Since the days the doors opened, National Electric Wire has continually put its customers and employees first which has allowed us to grow and maintain tremendous success.